Engineers, manufacturers, and developers are being forced to rapidly adapt to keep pace with consumer demands for security, connectivity, and functionality. New practices must be adopted to replace outdated, inefficient ones that simply no longer meet the evolving requirements of the end consumer. If these methods aren’t implemented quickly and correctly, consumer electronics makers risk falling behind. In the world of consumer electronics, with shrinking time-to-market windows and razor-thin profit margins, time is money. 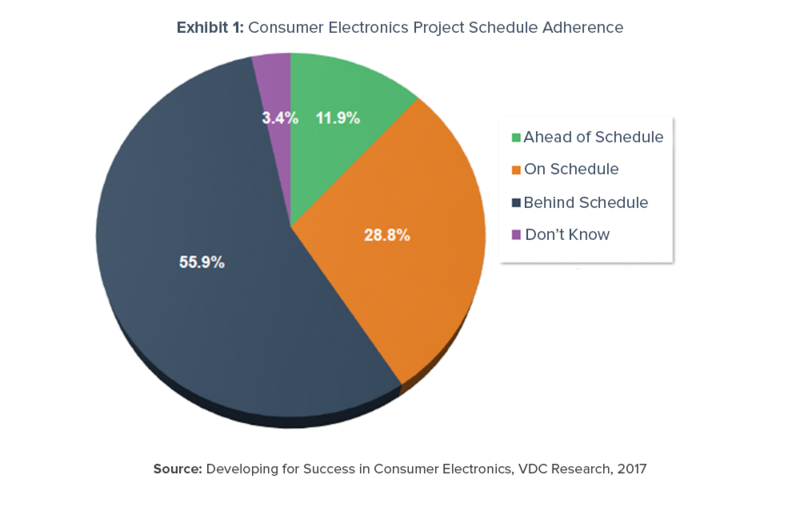 Yet consumer electronics engineers report the worst project schedule performance of any industry according to VDC Research’s Software and System Development Survey of 619 engineers, in which 55.9% of respondents report their current projects are behind schedule. This is a major issue, and the reasons for it are manifold, but the bottom line is simple: many organizations in the consumer electronics industry are not taking key steps to position themselves for success. In addition to tight profit margins, which influences hiring, scheduling, and strategic investment decisions, a lack of manpower contributes greatly to the ability of an original equipment manufacturer (OEM) to stay on deadline. VDC Research’s survey respondents reported an average of 15.5 engineers per project, as compared to an average of 24.4 in other industries. Increasing consumer demand for new and better products also puts pressure on OEMs from the other side, forcing companies to work quickly, with fewer workers, to crank out products faster than they would like, sacrificing key project preplanning in the hopes of saving critical weeks and months. The effect of this truncated timetable often results in the need to revisit products for necessary changes that weren’t readily apparent at early stages in the process, as would be the case if there was more time to sort out those issues earlier on. This leads to further delays, constricting the timetable of future projects even more. This challenge for software engineers stems, in part, from its ubiquity, particularly when it comes to web and IoT applications. Not only does software account for an ever-increasing proportion of overall development costs, but the demand for rapid innovation in this space is already high and increasing all the time. Software updates are the most efficient way to add functionality to consumer electronics products already out in the wild, so their effective implementation and distribution becomes key with the timetables faced by OEMs to get their products to market. Facing all the above challenges — lean staffing, tight budgets, and aggressive production schedules — engineering teams find themselves clamoring to increase output and efficiency of the software while at the same time continuing to improve the quality. 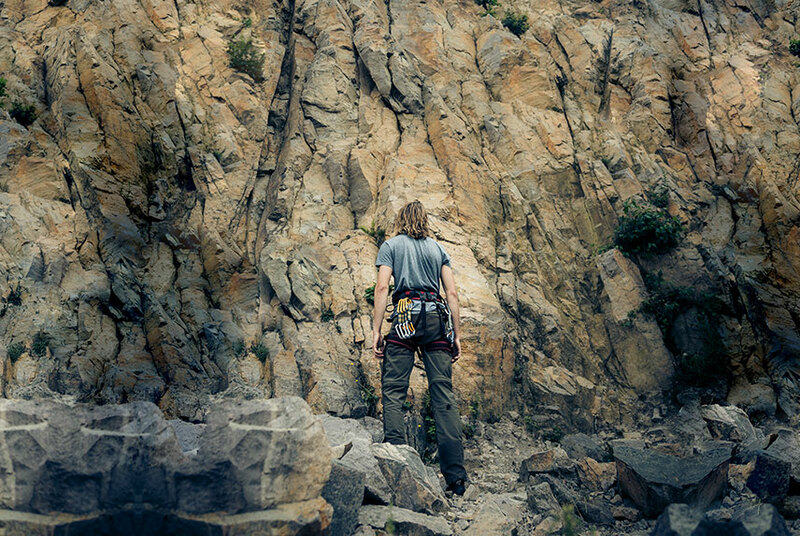 So how can developers and engineers rise to meet these challenges and hit their moving targets? Improving collaboration among teams can go a long way to speed up iteration through their design processes. This can be achieved, in part, by using a modern product development platform. These solutions must be highly accessible, so a variety of stakeholders can easily find information and provide real-time feedback. Implementing automated testing linked to these tools can also ensure quality assurance teams get a look at emerging products — warts and all — to be sure the products going to market are operating as expected. Ideally this happens as early in the production stage as possible to catch problems and implement necessary fixes to products ready to be pushed to market. Another option for better and more efficient product development is for companies to look beyond their in-house coding teams, even incorporating external sources to improve the efficiency of their development staff. In order to improve these processes, the existing way of doing things must be carefully scrutinized and adjusted to meet the rigorous demands development teams are facing. By implementing new processes — and scrapping others that don’t work efficiently — outcomes can be improved.